The Partiologist: Mickey & Minnie! Are you still partying along with me? I sure hope so because today it's all about Minnie and Mickey and the two places I created to showcase more Disney Treats. My family couldn't get over the display of treats for my sister's 60th birthday! It was quite simple to find the backdrop for this spot. Red and white polka dot wrapping paper did the trick, fit perfectly after I folded down the edges. 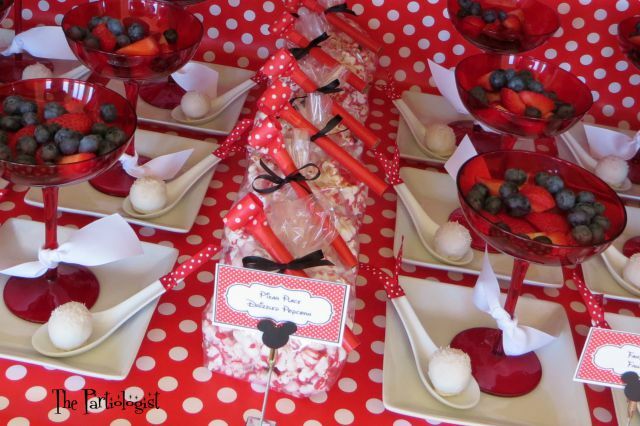 Placed on a tasting spoon tied with polka dot ribbon, the coconut cake ball was not only coconut cake, but also dipped in coconut candy melts and topped with coconut. I guess you could say it was kind of like me, very, very, coconutty! 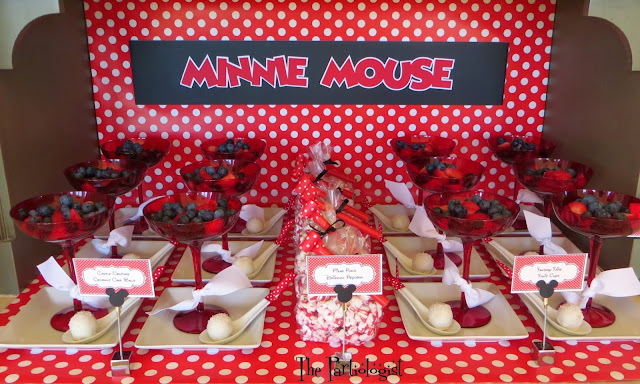 Down the center of the display were bags filled with popcorn, drizzled with red candy melts, sprinkled with Mickey Mouse ears and tied with polka dot party horns. Inside each red glass were fresh strawberries and blueberries, ready to be topped with my frozen homemade Coconut Rum Yogurt Dots. With a few ingredients, you'll have dippin' dots in no time! 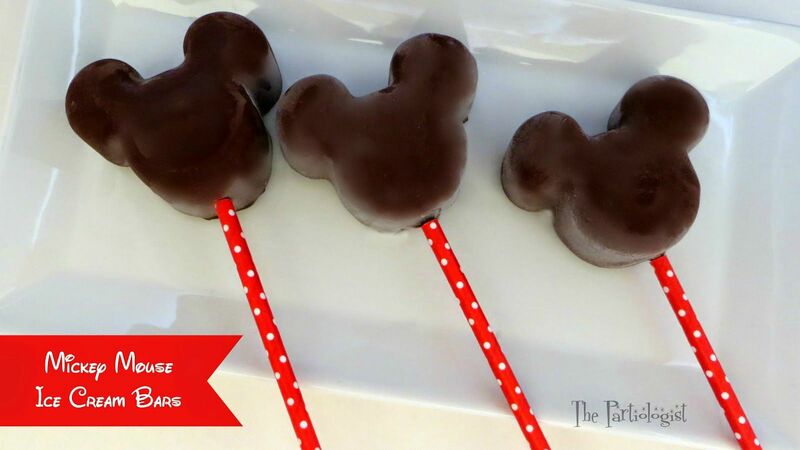 As long as we're freezing things, I also made Mickey Mouse Ice Cream Bars. With the perfect polka dot straws. And wouldn't you know it, I almost forgot to serve the ice cream bars. I did remember, however, by the time I did, everyone was full from all the other sweet treats. So I had to eat one everyday until they were gone. I know, someone had to do it. 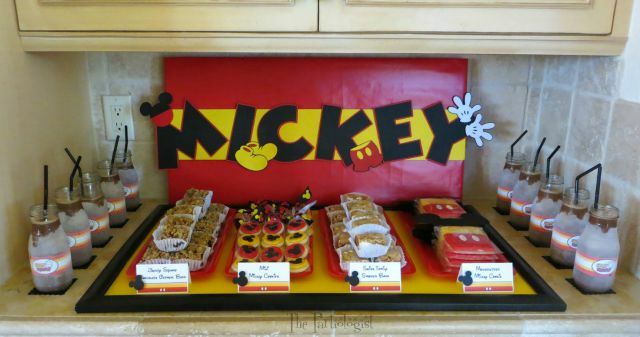 By covering a canvas with red wrapping paper and making mickey letters and designs, it became Mickey's corner. And here is why they were too full to eat the ice cream bars. 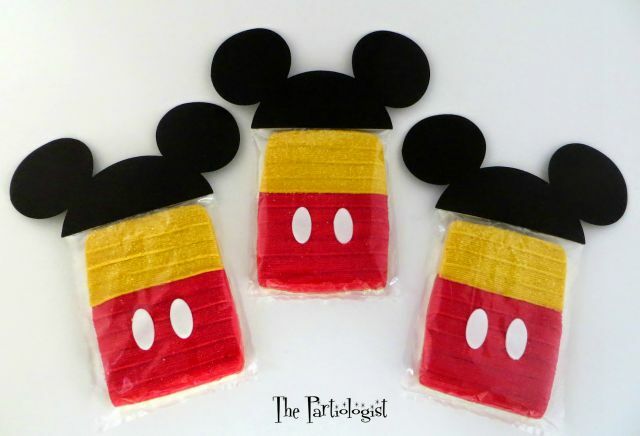 I made the Mouseketeer Mickey cookies with a rectangle shaped cookie cutter. Frosted the tops yellow and the bottom red, then added the white buttons (cut out of fondant). 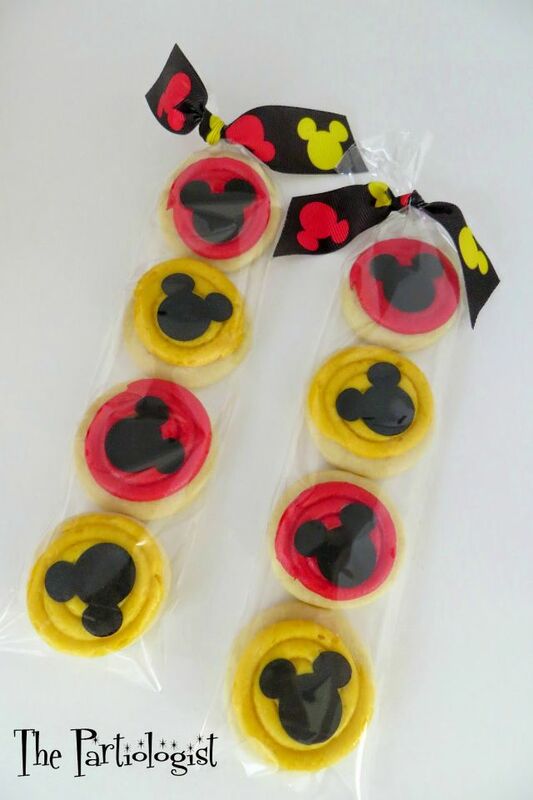 Placed each cookie in a cellophane bag and topped the bags with mouse ears. After I found the ribbon at Joann Fabrics, I wanted to use it with the cookies. So I made small round cookies, frosted and topped each with mouse ears (cut from sugar sheets). Then four cookies were placed inside a pretzel bag and tied with that ribbon I needed wanted. Along the sides of the desserts were Mocha Frappes. That's all for today folks, but let me just mention...I haven't even shown you the party table yet...Maybe that's next, are you ready? Looks amazing and I love the popcorn with the Mickey ears. Do you just keep your candy melts in the mason jar and melt and then re-use? That's brilliant, no waste. I'm going to have to do that next time I'm melting chocolate. Yes, that's what I do with my candy melts and it has saved so much time! Amazing. So many incredible sweets and everything looks so fun. Thank you Beth, it was fun and I can't believe it's already over! You are SO CREATIVE!!! This spread is amazing! Anne, thank you so much for the comment!! Such an imaginative display! 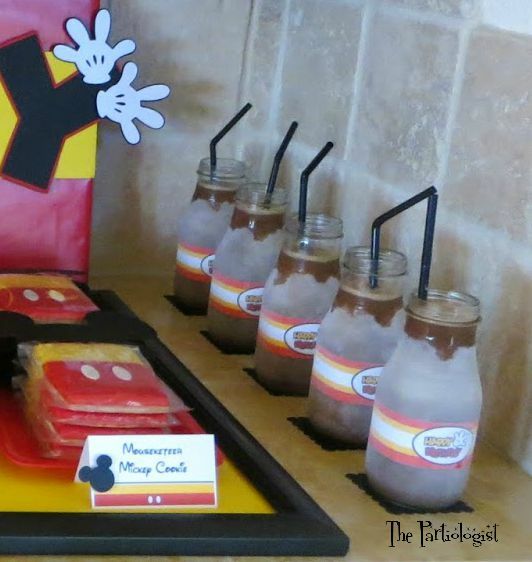 Now I want to throw a mickey party! 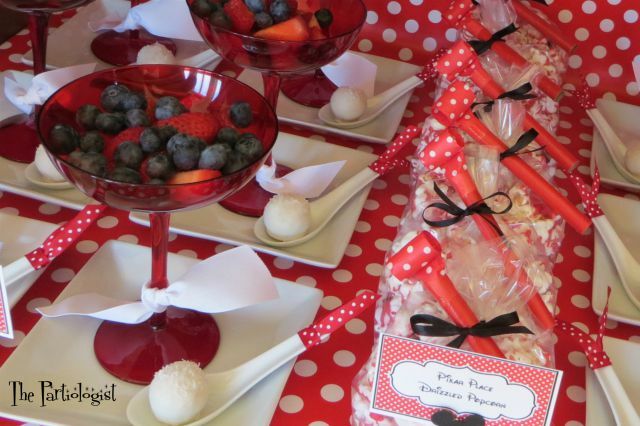 Throwing a Mickey party was such fun, I would recommend it to everyone! Your cute ideas are endless! 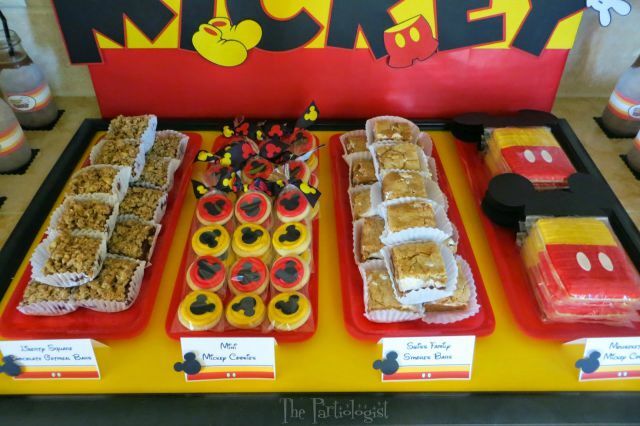 It's a good thing the party is over, or I would still be making Disney Treats!